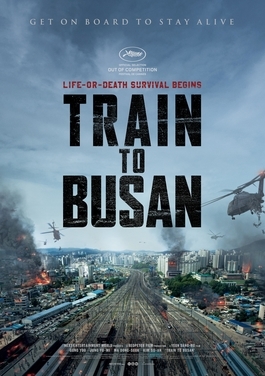 Train to Busan is a Korean zombie film that has become extremely popular in the Philippines. People are constantly talking about it and memes and funny videos are being made about it but is really that good and does it live up to the hype? Personally, no, but that doesn’t mean it’s a bad movie. It’s entertaining and keeps my eyes glued to the screen. I won’t talk about what makes the movie good, instead, I’ll cover some bad points and maybe some missed opportunities that would have made the movie better. What really bothers me the most in the movie is the part when Seok-Woo, the protagonist, tried to save his daughter and a pregnant woman while they were on a speeding train. Yon-Suk, who was already infected, was aboard the train as well and after a fierce struggle, Seok-Woo got Yon-Suk off the train but at the price of Seok-Woo getting bitten. It’s that part that bothers me. As he was trying to get Yon-Suk off of the train, it looked like he deliberately put his hand near the mouth of the zombified Yon-Suk which is just plain stupid if you ask me. Another part of the movie which sort of let me down was the ending where the child started singing as they were going through a dark tunnel. If she didn’t start singing the song she wanted to sing to her father, she and the pregnant woman would have gotten shot by the soldiers waiting on the other side of the tunnel. The singing just made the whole scene melodramatic and ultimately ruined the ending my opinion. The last part mistake this movie made is something that seems dumb but Sang- hwa, the husband of the pregnant lady, died towards the ending of the movie which really pissed me off. I loved the character a lot since he’s like a character that I would look up to in a situation similar to what’s seen in the movie and his general attitude is appealing. I would have preferred if he had survived or at the very least, make him survive until the very end of the movie. Train to Busan is still a good movie and is a refreshing take on the zombie genre. My dislikes of the movie is just me nitpicking it.